Aries Gold watch + GIVE AWAY! - . Aries Gold watch + GIVE AWAY! This is my first collaboration with Aries Gold. I must say that they have quite amazing watches. Aries Gold has been around for so many years and officially registered in more than 42 countries. They have a range of premium watches that are robust and precise. Their watches' movements are manufactured in Switzerland. Lucky me, I get to pick my favourite watch. I chose a more masculine watches rather that those more feminine watches because, firstly, it suit my character. Secondly, it suit my style. If you have been following my blog for years, you should have noticed my kind of style. Aries Gold Inspire Pioneer 726 suit almost everything i wear. And lastly, i love solid watches! make the watch look luxurious. Furthermore, rose gold is really popular now. with 10 years warranty for all Aries Gold watches. Aries Gold Inspire Pioneer 726 is retailing at S$285. I feel the price is very reasonable for a watch like this!! Diamond is our best friend! For lady who love a more feminine watches, they have a huge collection of female watches. Check out them out here. Their website is not so updated, many beautiful pieces is not featured inside. May refer to their Facebook! Packing for all Aries gold watches. Where to buy Arie Gold watch? it is the only retailer that provided 10 years FREE battery replacement on any watches purchase. 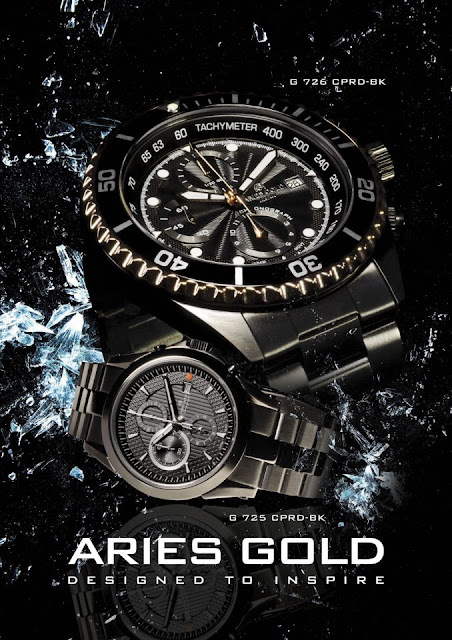 Aries Gold is giving away a FREE watch to one of my reader. 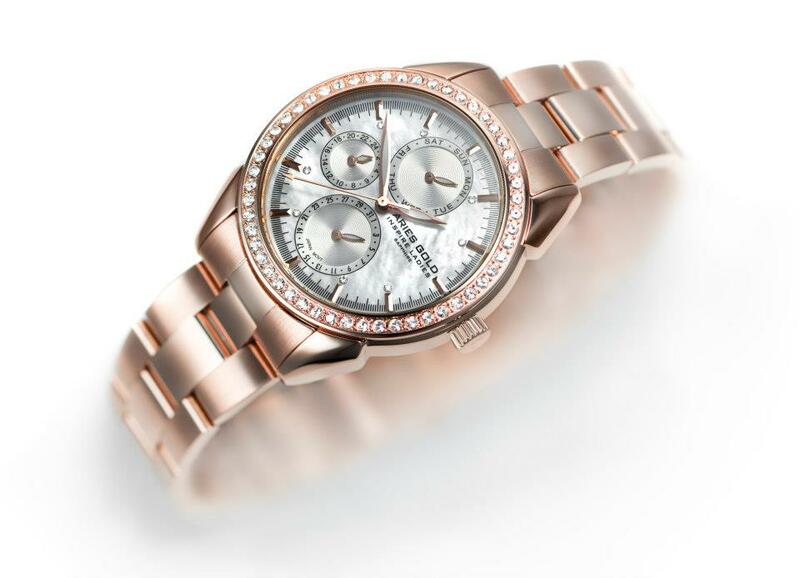 The Enchant 1156A comes in Black (limited edition 100 pcs only), Rose Gold, Silver & Gold. Retailing at S$ 257 (limited) & S$228. and Interchangeable bezel with Swarovski Crystals. You'd love this watch like i do as you can switch the bezel for different look. If you find that crystal bezel is too loud for your outfit, switch to solid pain bezel. Blend of feminine and sophisticated. Step1: Like this picture on my Facebook wall and comment which colour you like. Step 2: LIKE Aries Gold on Facebook . Step 3: Follow Aries Gold on Twitter (Optional). The contest results will be announced on 28th February!